The large solar project that provides Sundrop Farms Australia with energy and fresh water is nominated for the Clean Energy Council’s 2018 Innovation Award. The Danish renewable energy specialist, Aalborg CSP, has delivered the energy system to the 200,000 m2 greenhouses of Sundrop Farms in 2017. The solar energy project is among the top four finalists. The jury sees this pioneering installation in combination with greenhouses in Port Augusta as a leading example of a successful deployment of sustainable energy technologies in Australia. The Clean Energy Council Awards nominates the pioneering solar energy project in the category 'Innovation Award', because it gives a clear demonstration of what is possible. 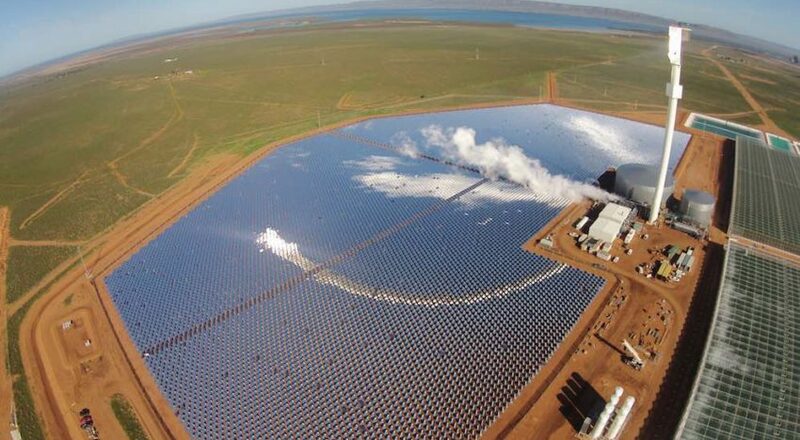 This installation with concentrated solar technology (CSP) is the first in Australia and worldwide to support greenhouse horticulture on a commercial scale. Sundrop Farms produces annually more than 17,000 tons of tomatoes in 200,000 m2 greenhouses located in a remote area. With this yield the company accounts for about 15% of the entire tomato market in Australia. The unique thing about this project is that the installation with solar energy produces electricity, heat and fresh water. In general, CSP plants at other sites in the world only produce electricity while heat is discharged as waste. An Integrated Energy System has been created at this location with a thermal efficiency of up to 95% that produces multiple energy flows. The installation consists of more than 23,000 heliostats (computer-controlled mirrors) that bundle the sun's rays in the Australian desert and reflect them towards the top of a 127 meters high solar tower. The concentration of solar energy produces high temperatures that Sundrop Farms then uses to heat the greenhouses in the winter and on cold summer nights, but also to provide fresh water by desalinating seawater drawn from the nearby Spencer Gulf (5 km from the site) and to periodically run a steam turbine to produce electricity.